The man who has courted controversy as diverse in range as any one politician has done before sparked the biggest protest in US history. With around three million people taking to the streets all over America, it is impossible to ignore the message that they are sending. 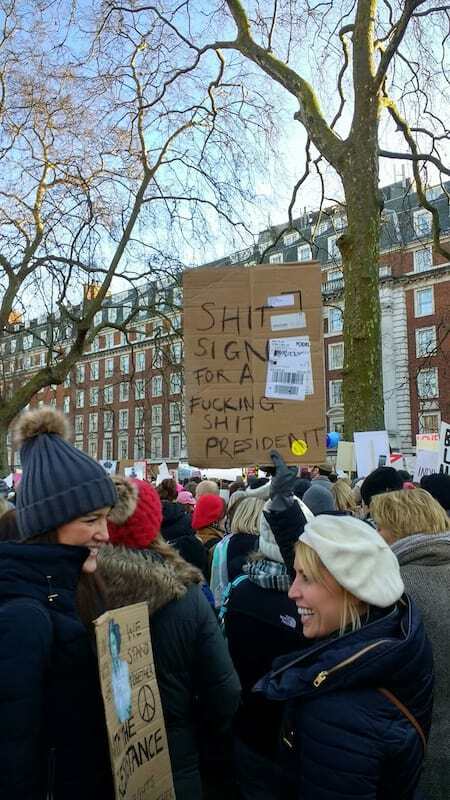 The protests not only showed the scale of Trump’s opposition, but acted as a collective wake-up call using wit and creativity to make a stand. The protest brought people of all ages, races, genders, sexualities and life experiences together. 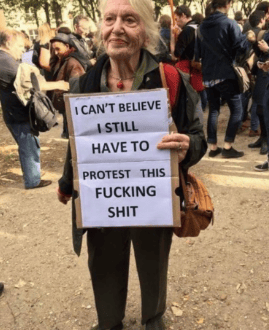 It is extremely touching to see women who have suffered through previous political turmoil, still standing and protesting for their human rights. This lady survived the internment of Japanese Americans during World War Two when President Franklin D. Roosevelt forced them from their homes into concentration camps. 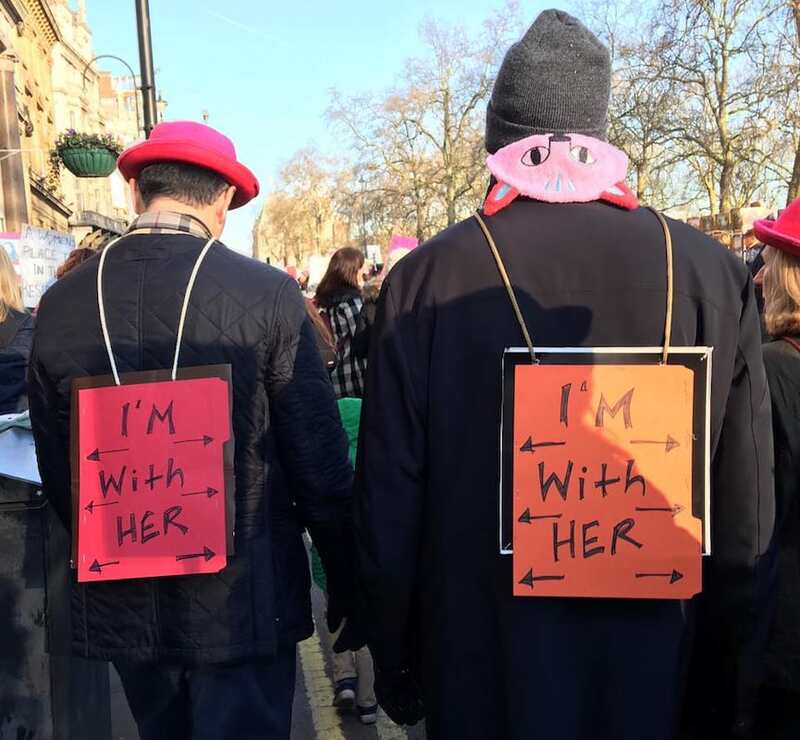 It is important to know that this was not just women protesting, thousands of men stood alongside, supporting the fight for equality. He’s just a young guy, reciting some Bieber lyrics, okay? 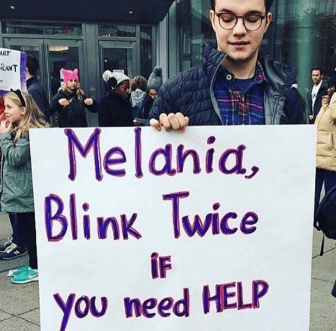 Among all the puns were plenty of Star Wars, Harry Potter, Mean Girls and Game of Thrones related signs. 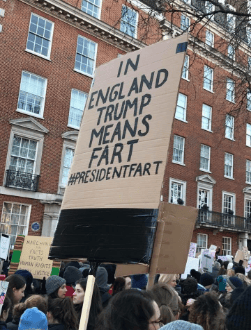 Yep that’s right, President Trump translates from American into English as President Fart. Every single body that stood in the Women’s March made history. No doubt that Donald and his new lapdog Piers Morgan were quaking behind their keyboards.